Canning Versus Pickling: What’s the Difference? - GNH Lumber Co. Canning Versus Pickling: What’s the Difference? - GNH Lumber Co.
Have you ever wondered how to preserve all that food in your garden? Learning about canning and pickling foods is a valuable tool. Not only can you create opportunities to store foods from your garden, you can also stock up on things from the store and can or pickle them! 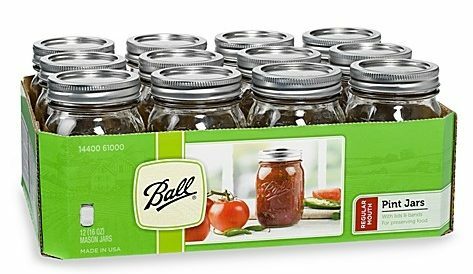 Pick up Ball canning jars and other Ball supplies at GNH Lumber! 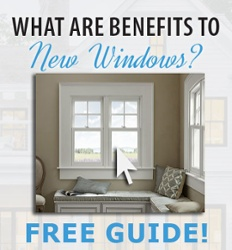 Before you jump in and get started, here’s a little information about each process and what makes them different. Before we start, here are the basics. 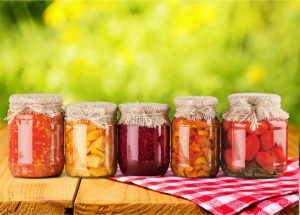 Canning is a method of preserving food by processing the fruits or vegetables and then sealing the fresh foods in airtight containers. “Processing” is a method of cooking the food before sealing it in glass jars. The process of canning effectively sterilizes the bacteria that normally can cause spoilage. This means you can store the food for up to five years in proper conditions which is far longer than it would keep in the fridge! Water bath canning is a system of “processing” the jars for a set period after they’ve been filled to kill off any bacteria present. It’s done with boiling water after the lids have been place on the jars. You often see this type of canning when making jams, jellies, and sauces. For foods that have low-acid levels like meats, vegetables, beans and chili, it’s vital to make sure that all the bacteria are dead to prevent against botulism. Pressure canning ensures this result, by sterilizing and sealing your canned goods inside a very high-temperature pressure cooker. The process of pickling is a subset of the water bath method. Pickling preserves food using a “brine” to anaerobically ferment the food. The process produces lactic acid which prevents spoilage of the food. Storing the food in an acetic acid, better known as vinegar, causes the food to “cure,” thus making it safe for consumption at a much later date. It’s important to note: pickling food involves “cold packing” and then covering foods with boiling hot brine. This method works for a wide variety of foods! 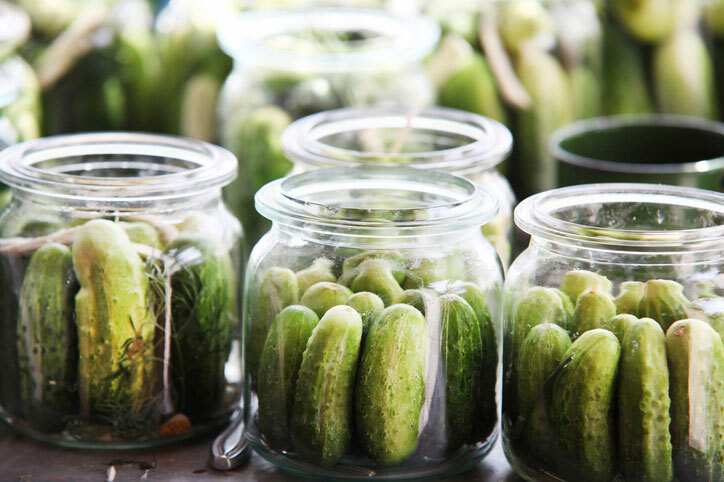 For pickles, the cold pack method works easily (you can even put sliced cucumbers in your old jar of pickle juice and stick them in the fridge for instant pickles in 2 weeks!). However, when it comes to fruit and other acidic foods that are not stored in vinegar, the hot-pack method must be used or you’ll retain bacteria. Is your garden overproducing? 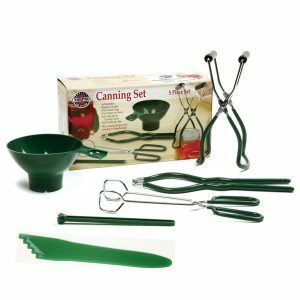 Stock up on canning supplies and kits at GNH Lumber!